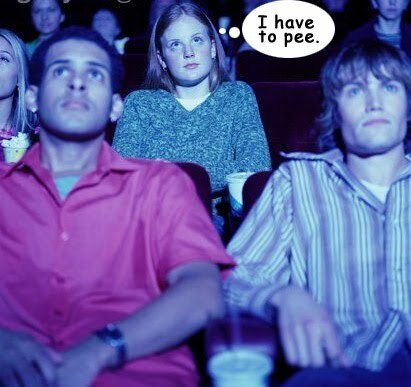 Help your bladder enjoy going to the movies as much as you do! RunPee.com is an awesome website that not only tells you when would be the best time to run pee during a movie, how much time you have to go pee before something interesting happens, but also what little you’d be missing while you were gone to pee! You’ll never miss that uber-important scene and have to go thru the “what did I miss” convo again!! Plus, RunPee is going mobile soon! iPhone users can already buy the RunPee App from iTunes for 1.99$ — in case you get an unexpected urge while at the movies!